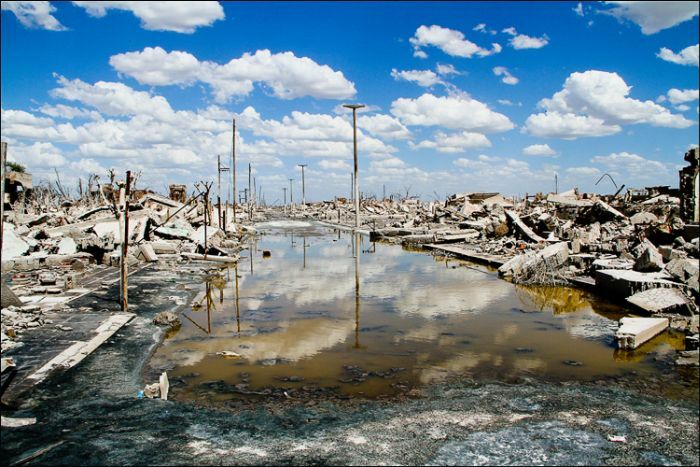 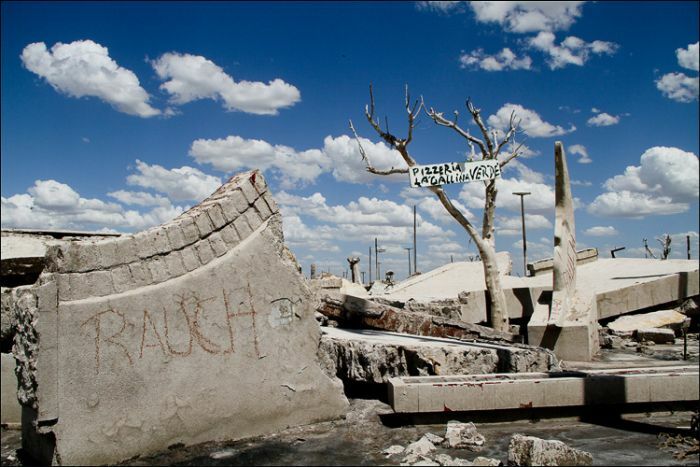 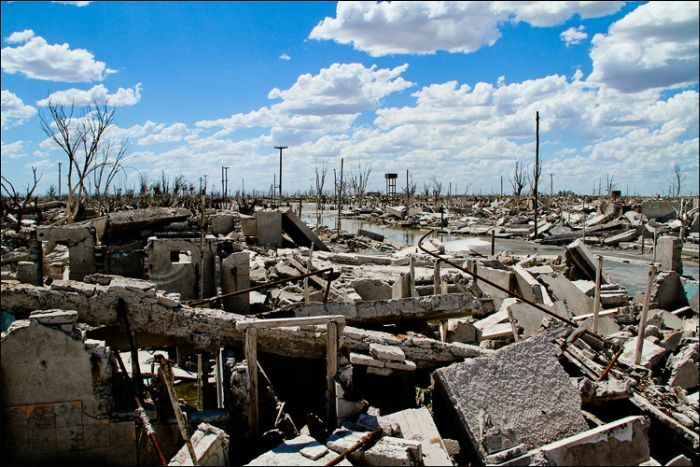 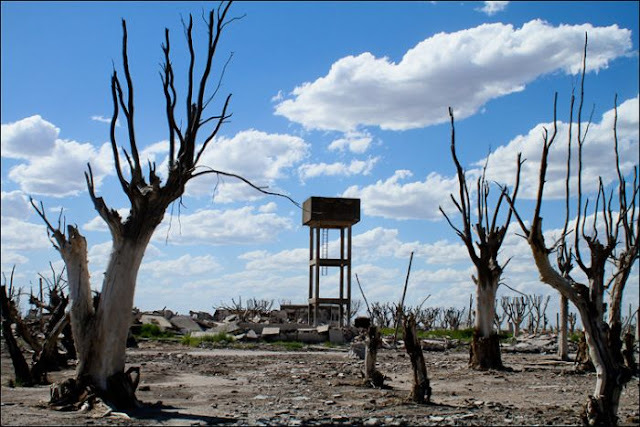 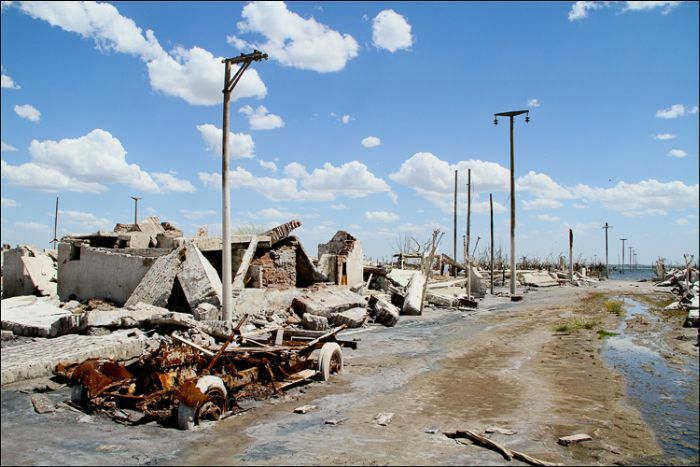 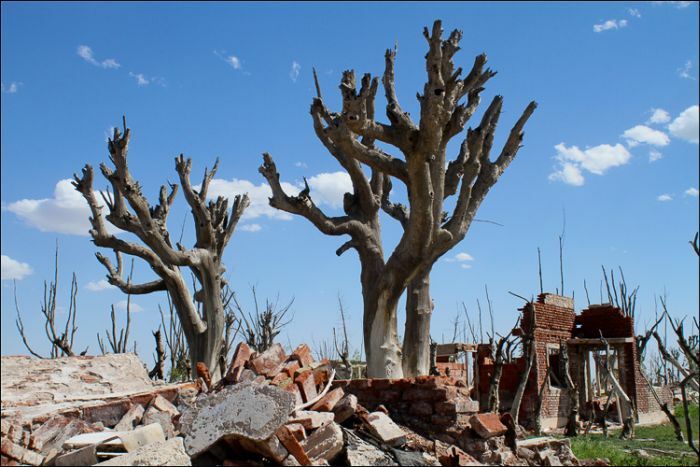 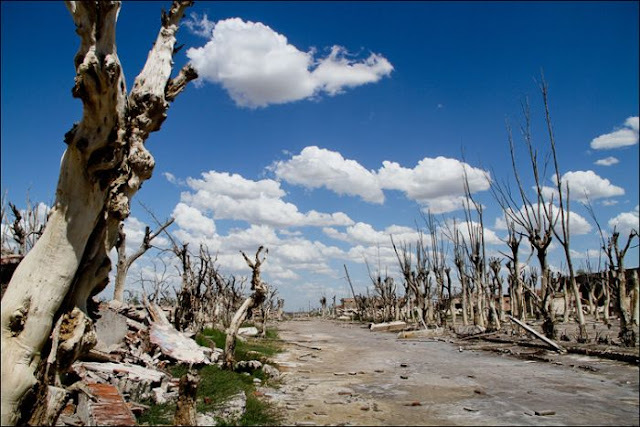 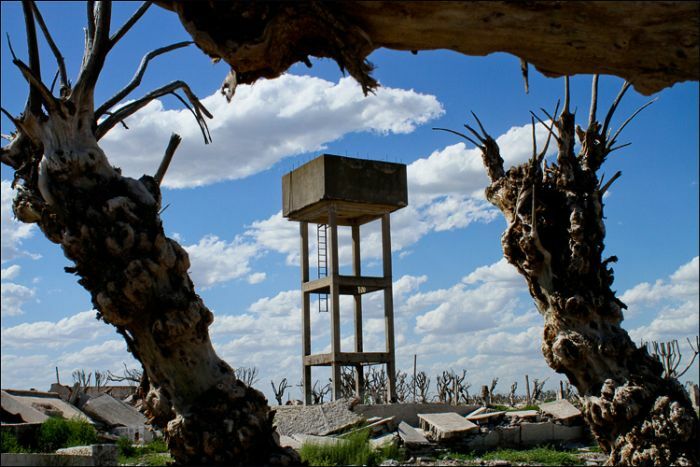 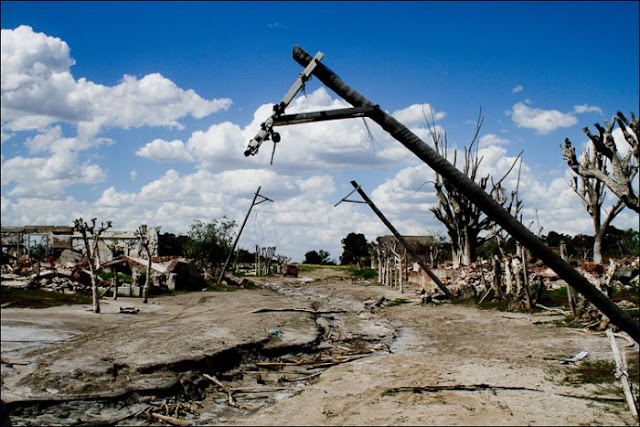 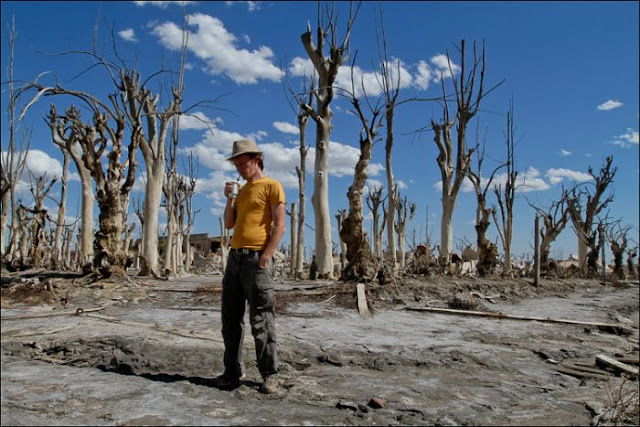 Epecuen was a beautiful tourist town in Argentina. Back in the 1920s, a tourist village was established along the shore of Lago Epecuen, a salt lake some 600 kilometers southwest of Buenos Aires, Argentina. The resort town, named Villa Epucuen, soon had a railroad station, and it thrived for several decades, peaking in the 1970s with a population of more than 5,000. 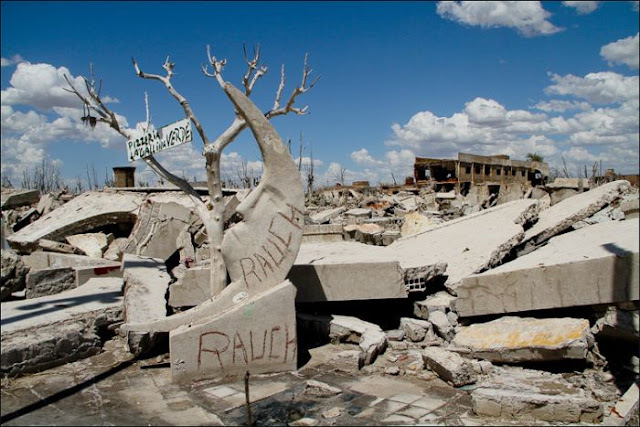 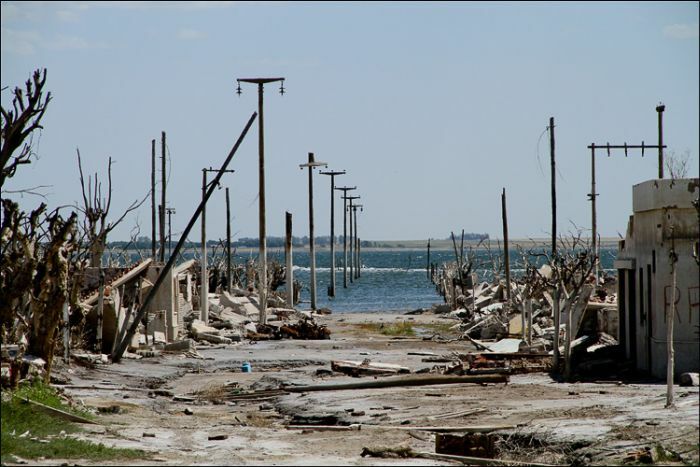 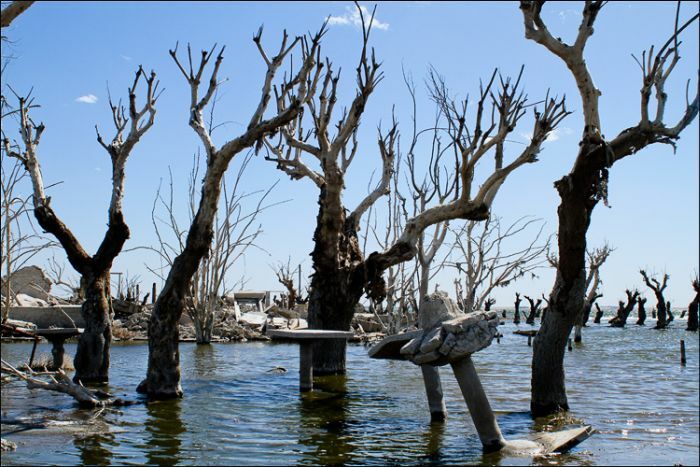 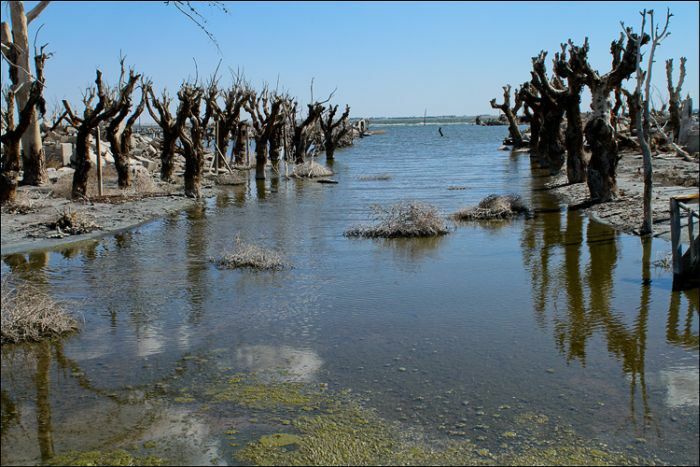 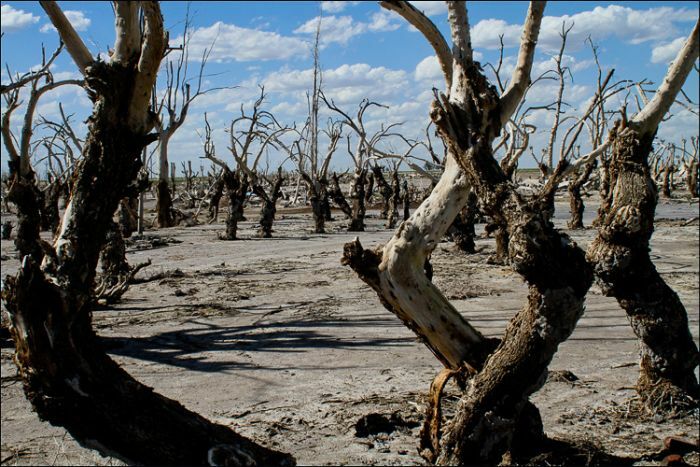 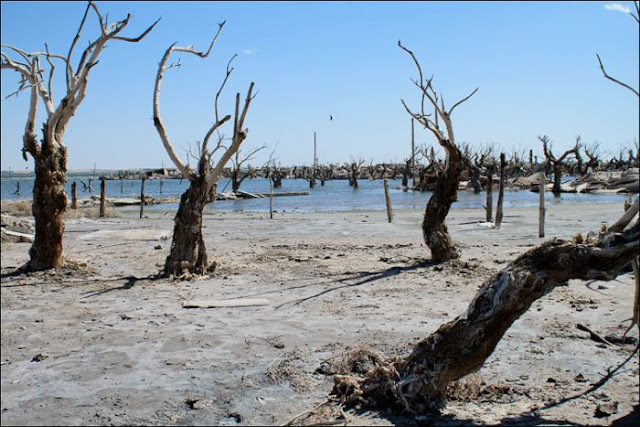 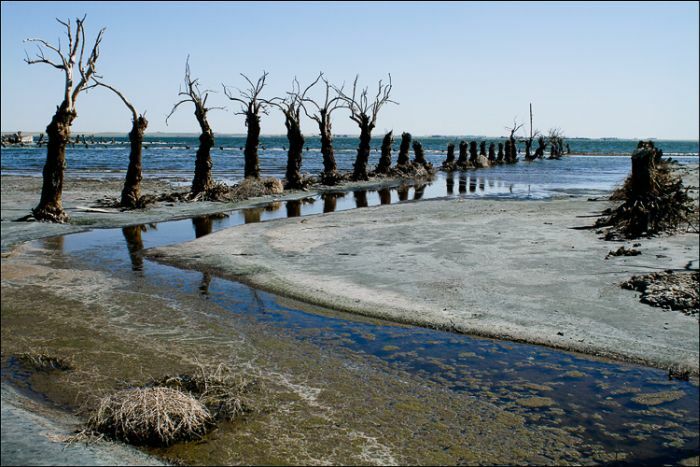 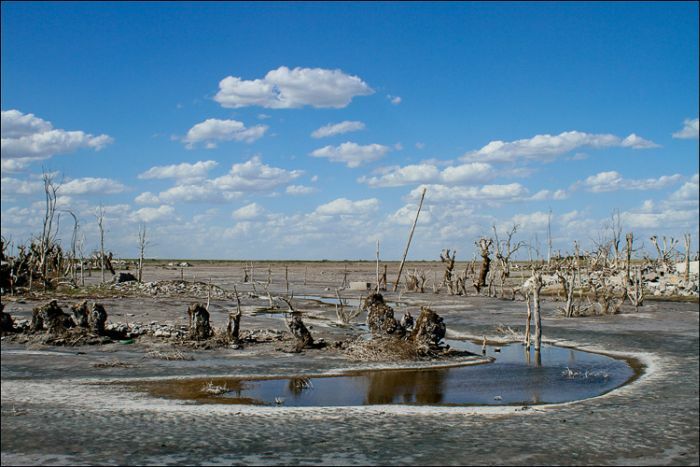 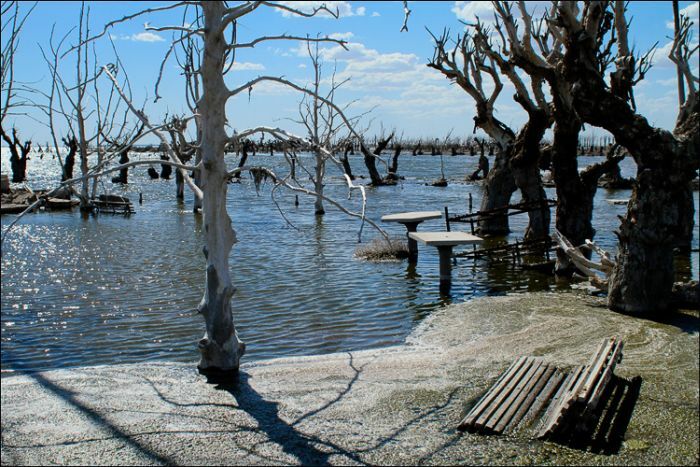 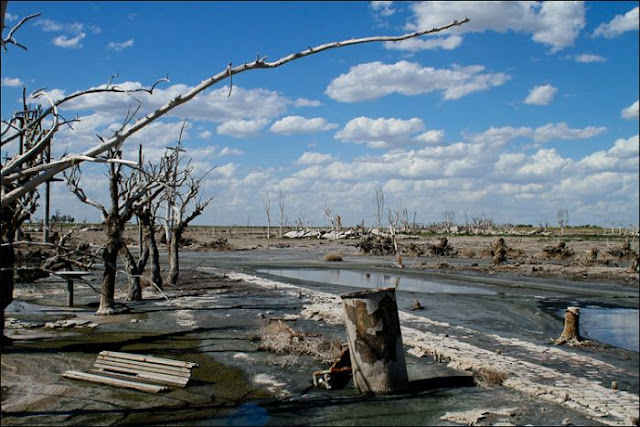 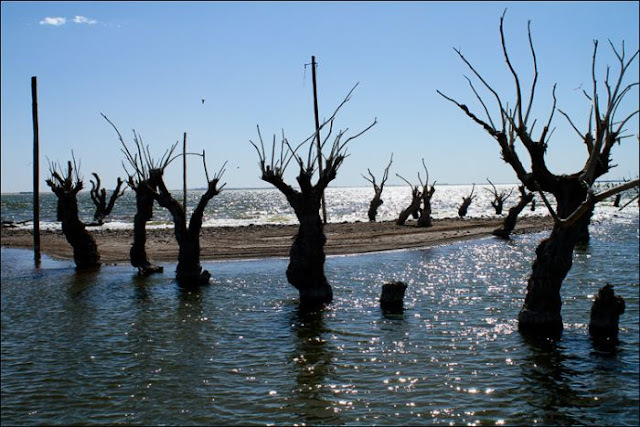 Around the same time, a long-term weather event was delivering far more rain than usual to the surrounding hills for years, and Lago Epecuen began to swell. 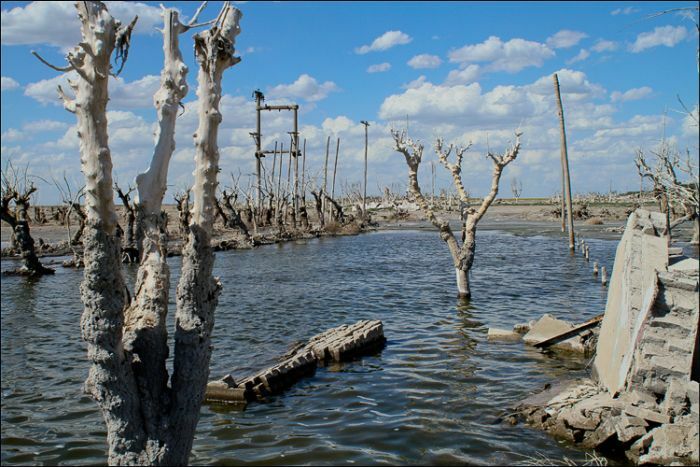 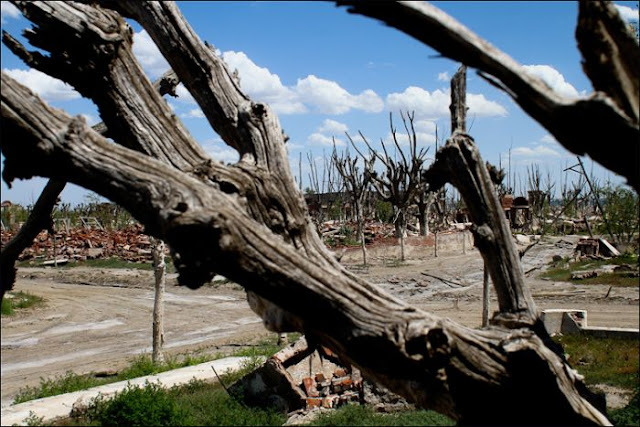 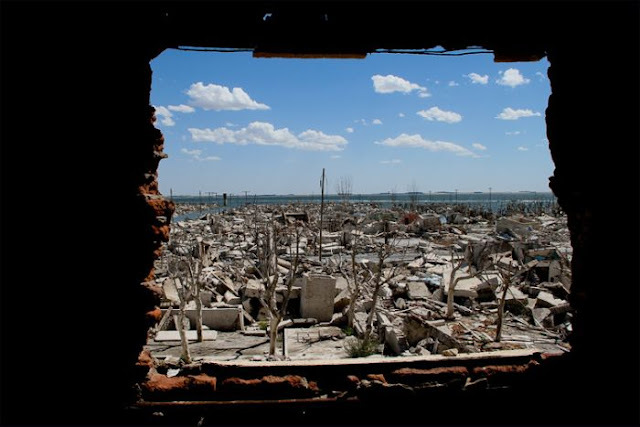 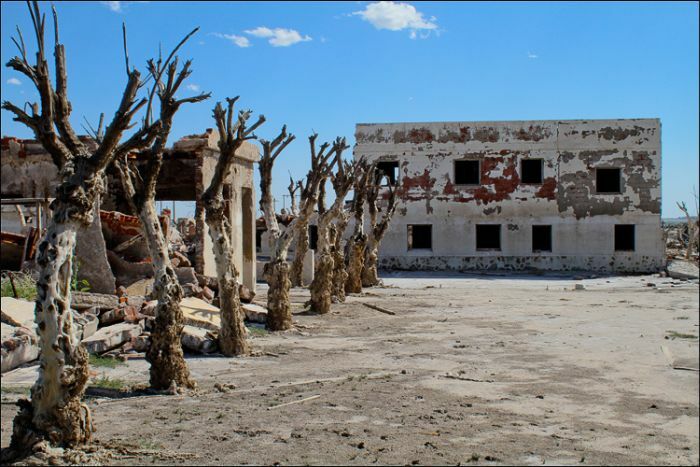 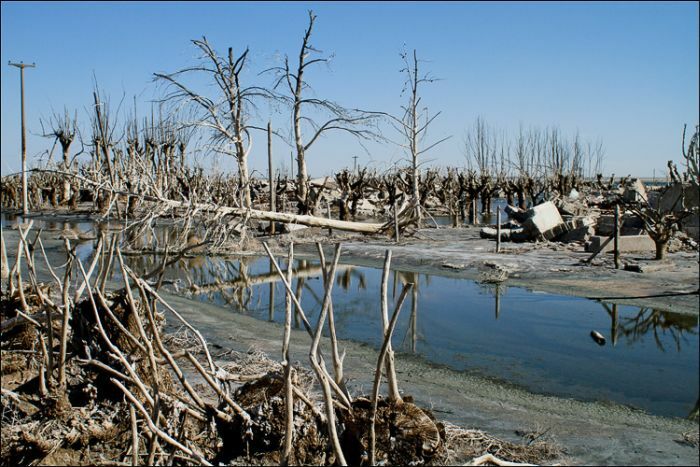 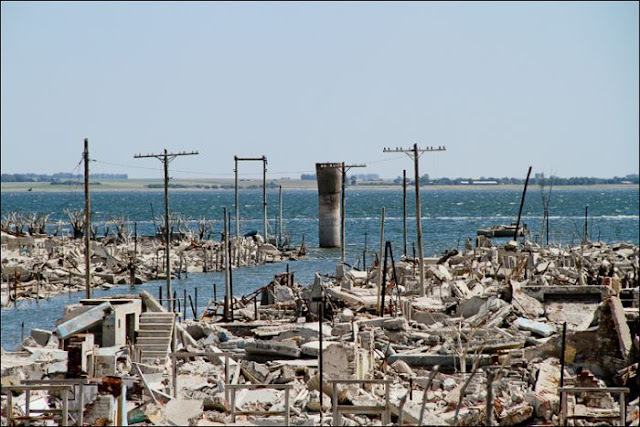 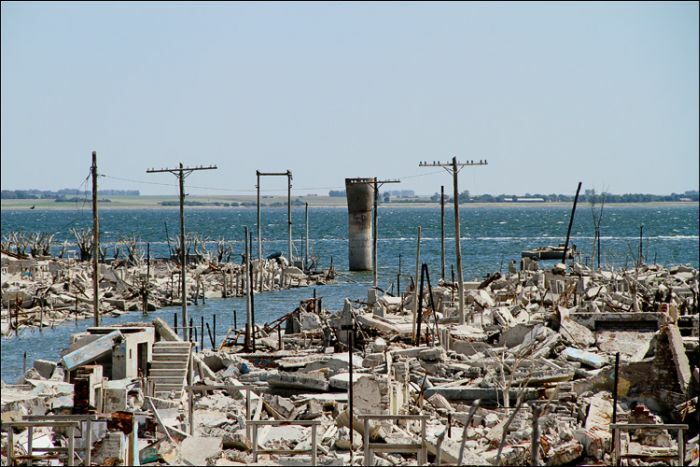 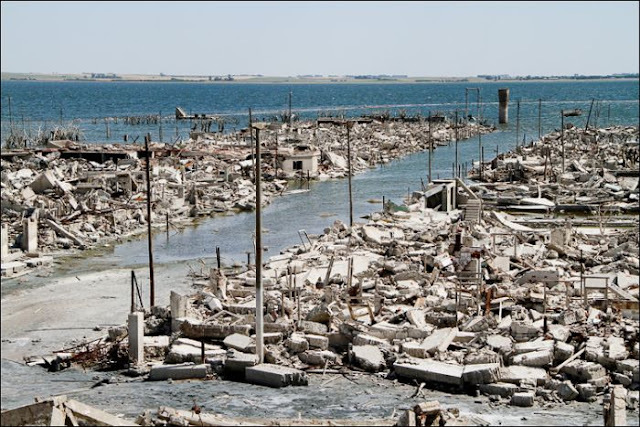 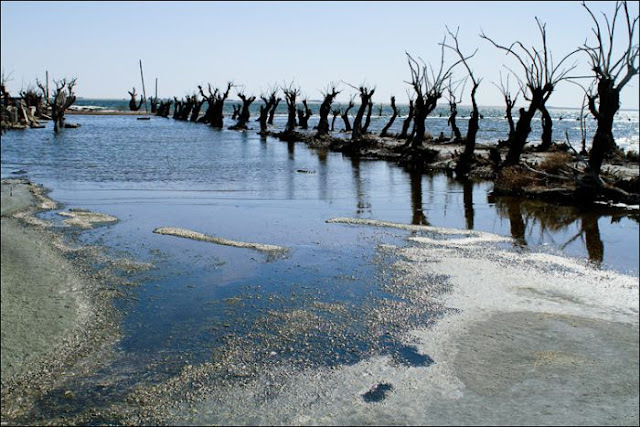 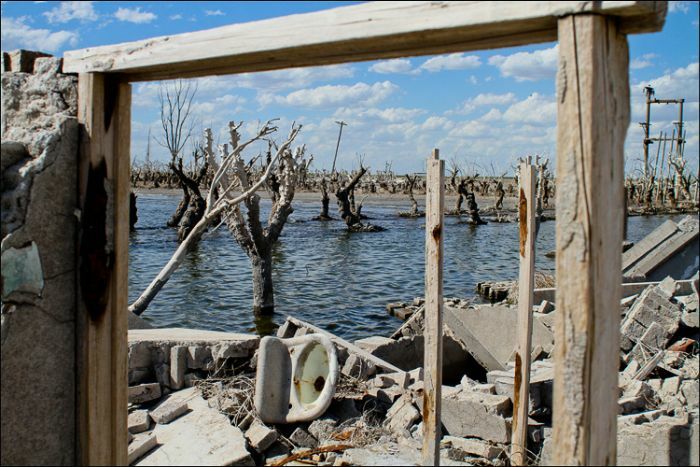 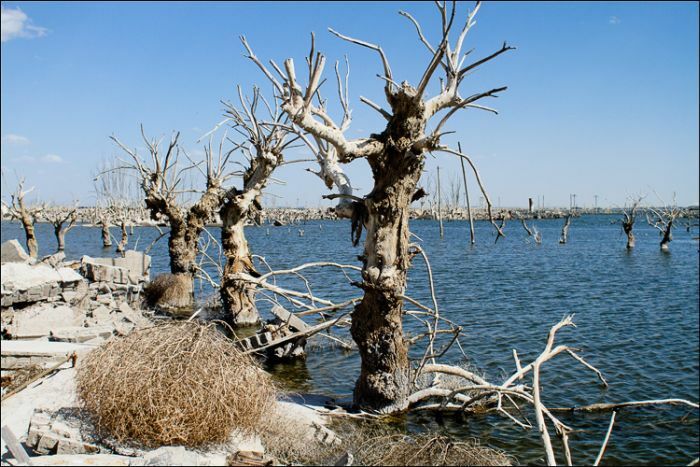 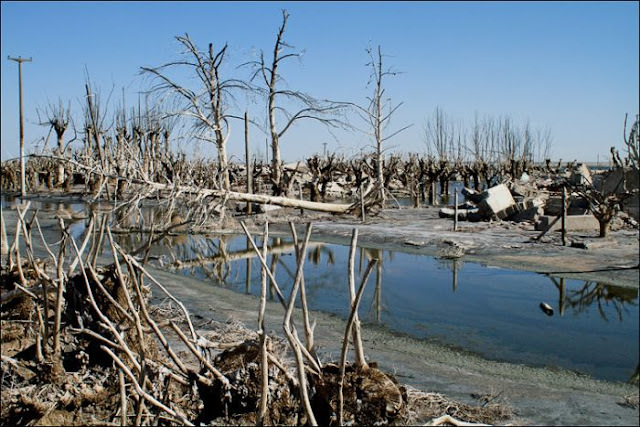 In 1985, the salty waters broke through an earthen dam, and Villa Epecuen was doomed. On 10 November 1985 the enormous flow of water broke the stone and earthen embankment and flooded much of the town. 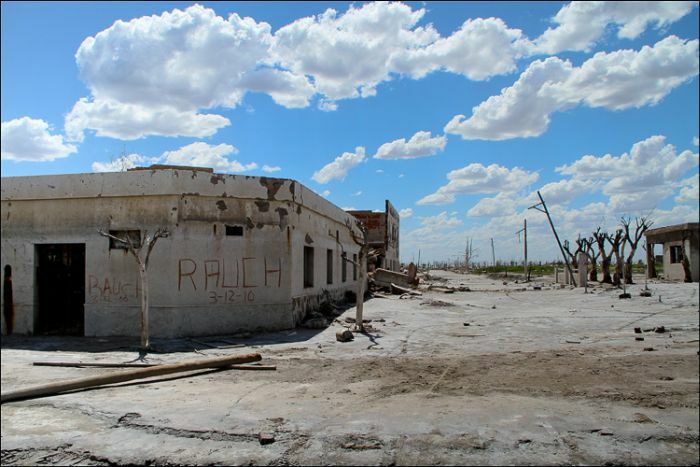 The town disappeared and Since then it stayed abandoned. 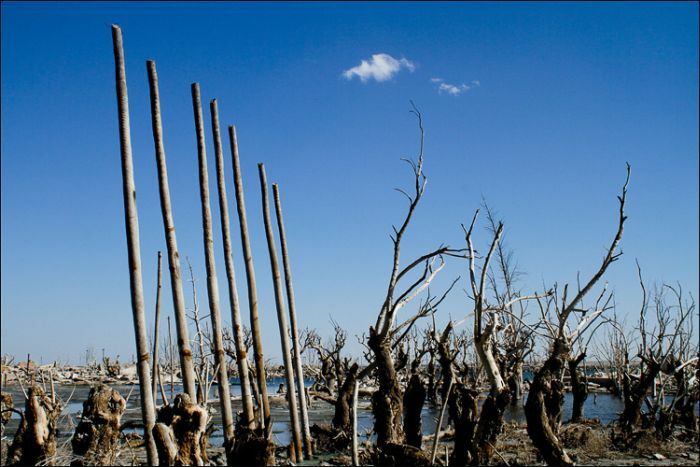 A slow-growing flood consumed the town until it reached a depth of 10 meters (33 feet) in 1993.